When there is an accident at home, Annie rushes home from the big city where she's been living with her aunt and going to nursing school. Eager to help her father, Annie is willing to do whatever is necessary to make sure he's taken care of? But how can she do that when her family doesn't know she is now an RN? Will the Amish community accept her as a nurse? Will she be able to fit back into the Amish community she has been homesick for? Samuel is a farmer by day and helps with the sick in the Amish community by night. 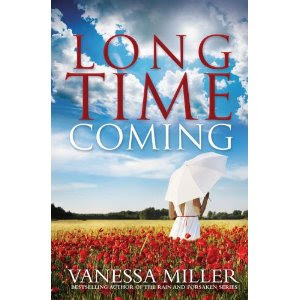 Wrestling with his own demons from the past, Samuel is surprised to see Annie Weaver all grown up. When he sees her copious medical notes on her father, Samuel suspects Annie has a secret of her own. A simple Christmas is all the two wish for, but with unexpected births, ill children, unanswered letters, farms to run, weddings to plan, and a sick father to attend to, simplicity is not easy to find. Annie has many difficult decisions to make. Chapman takes the reader into the Amish community with all of its intricacies and simplicity combined. Her writing style made the book easy to read. Although I've not read other books by this author, I look forward to reading more. Thanks to Abingdon Press for my Reader's Copy. Trouble always seems to find the vicar's wife, Berdie. Eager to please her husband, Berdie determines to keep her nose clean and concentrate on her church responsibilities during the holiday season. When she enters the home of an elderly church parishioner to pick her up for an early morning of shopping, Berdie discovers the house has been ransacked and the elderly Miss Livingston murdered. Berdie is certain she can figure out who the perpetrator was. The local constable desires to wrap up the case as quickly as possible and clear his docket. He eagerly rounds up a suspect and jails him based on circumstantial evidence. Berdie digs deeper. Something doesn't sit quite right with her. Her investigative instincts tell her there is more to this story. With the help of her best friend Lillie, she is determined to prove the innocent Jamie was framed. Gypsies, hidden marriages, and World War II crimes all come to light when Berdie noses around trying to keep another murder from happening in her small village. Marilyn Leach depicts a beautiful English village during the holiday season. Her humor of the behind the scenes life of the vicar and his wife is spot on! I eagerly await Berdie's next escapade. Thanks to Barbour Books for my Advanced Reader's Copy. It's Christmastime and the Brenneman family is looking forward to a big, Amish family get together. Everyone will be under the same roof for the first time in a while. Katie cannot wait to spend some time with her mother, sisters, and family. Plans change when a lost letter informs the family that they will be having a visitor at their inn during the holidays. Levi wants to escape his ghosts from past Christmases and simply have some time away from family. Little does he realize he's walking into one big happy family at the Brenneman Bed and Breakfast. Much to Katie's dismay and that of Levi's, Melody, who happens to be nine months pregnant, also shows up on the Brenneman Bed and Breakfast doorstep. The inn will soon be full during this Christmas season. Will Katie get her time alone with her family? Where is Melody's husband? What ghosts haunt Levi? 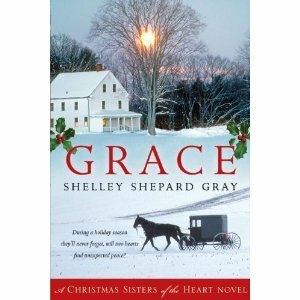 All of these questions and more are answered in Shelly Shephard Gray's latest Sisters of the Heart Novel. Thanks to Harper Collins for my Advanced Reader's Copy. When Bachelor of the Year, Forbes Guidry, and Channel 6 news reporter, Aliane Delacriox, cross paths for the first time they have no idea that their families are soon to be at war. Alaine's emotions are in an uproar when she realizes the very person she think she could fall for is the connected to the company trying to destroy her families' businesses. Is Forbes willing to sacrifice everything he has worked so hard for? His career? His family? His control? To pursue a woman he's only seen on TV? Although this is the third book in the series the Brides of Bonneterre, it could be read as a stand alone novel. 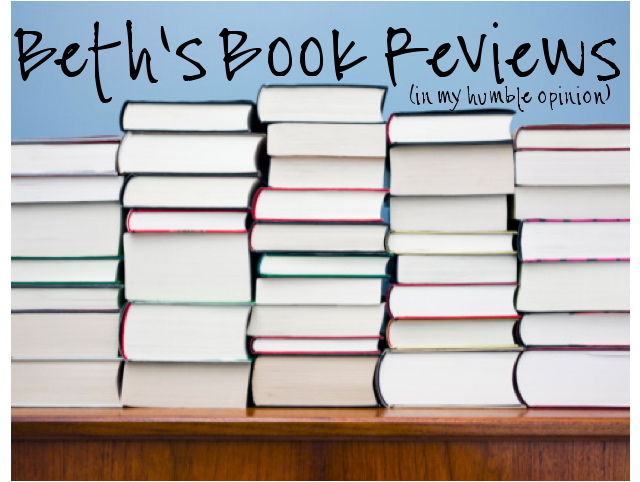 Dacus writes in a way that is easy to read and makes you want to keep turning those pages. Barbour Books has definitely done it again! Thanks to Barbour Books for my review copy. Hilde Higgins is positive the body she saw on the gurney was not the same Mabel she saw on the gurney earlier. But who wants to believe a mortuary hair dresser who dropped out of school and left a posh salon to do the hair of dead people? She's not even sure her own mother believes her. But Hilde is positive bodies have been switched and Mabel is missing. Hilde spends the novel searching for the missing Mabel, watching out for her landlady and her nephew, and making social faux pas with her mother. 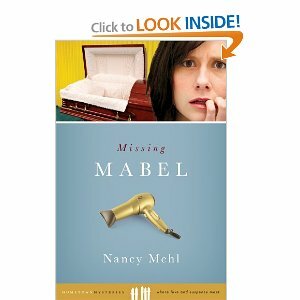 Mehl does a a great job taking us inside the life of a small town funeral hair dresser who is constantly finding trouble. I for one am ready for more of Hilde Higgins and her exciting neighborhood. The oldest of ten children Vera longs to get out. She dreams about being a part of the elite 400 who live in the upper part of town. Why should they look down on her for being the daughter of a plumber? She is just as good as them. And she knows how to flaunt that. Her goal is to make it out of the Main Line as quickly as possible and she is willing to do anything to get her ticket out. Vera's brother Bobby hopes college will be his ticket out. HIs hard work and good grades should take him far--or so he hopes. He too dreams of a life outside the small community his family lives in. 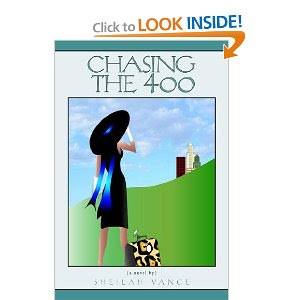 Author Sheliah Vance describes life in the 1950s of Philadelphia of this African American family and the social system of their world. Funny, yet at times poignant, Vance pulls you into this world and persuades even the reader to want to rise above their station in life. Deidre and her husband Johnson have a wonderful life. Her husband adores her. Her aspiring career as a principal keeps her on her toes. The only thing missing is the one thing they want the most. Kenisha is a mother of three struggling to survive. She wonders why she allowed herself to get to where she was. She blames her mother. Her dead baby's daddy. And now this? How can she handle one more thing? Deidre and Kenisha have no idea what it is going to mean when their lives intersect over a simple mixup with Jamal not being picked up from school. Although it's been a long time coming, their lives will never be the same.